• Over 100,000 people are stranded from massive flooding. On 15 March, Cyclone Idai struck the east coast of Africa with winds of more than 177 km/h, leaving a trail of devastation from massive floods. Whole communities in Mozambique, Zimbabwe and Malawi have been devastated. The poorest have been hit hardest, living in lower areas in less resilient houses. Our partners are responding with emergency assistance and you can help. • Priority will be given to those with vulnerabilities such as chronic illnesses, pregnant and lactating mothers, children and people with disabilities. Please donate to support our partners as they respond to this emergency. 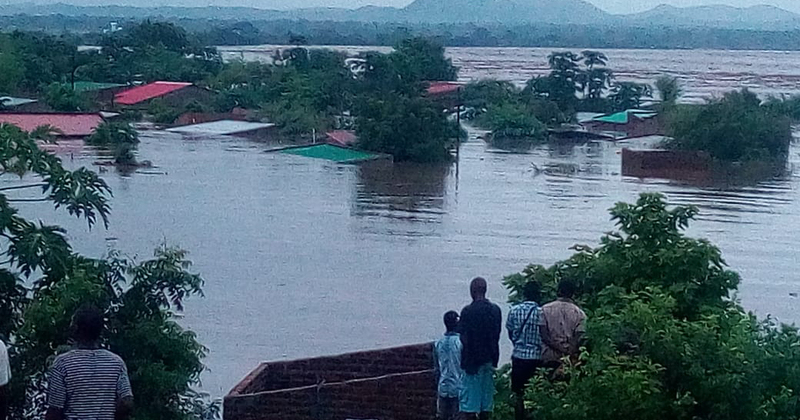 • Pray for all people impacted by Cyclone Idai, including families and friends of victims. Pray for the safety of first responders and emergency personnel, including our church partners and their important relief work. • Share this appeal on your social media and church networks. The media cycle often doesn’t reflect the true magnitude of a disaster like this. By amplifying it you can help show solidarity with our neighbours and courageous partners in Zimbabwe. Please add a short note which outlines to where the funds are to be directed, to whom the receipt is to made out to and the relevant contact details for same. Funds raised for the Cyclone Idai Appeal will be applied to the emergency response and for rehabilitation activities in the affected areas. In the unlikely event that funds raised exceed the amount needed for this appeal, they will be used for UnitingWorld’s emergency fund, allowing us to respond to other disasters. To make the best use of our supporters’ donations and to get the best outcomes for our partners, we invest in good management practices, ensuring the careful planning, oversight and evaluation of our work, as well as clear transparent and accountable use of all funds. UnitingWorld uses 10% of funds raised to pay for the administrative expenses of running a fundraising appeal and coordinating disaster response with our local church partners.